On April 6, Burundians celebrate President Ntaryamira Day. It is a public holiday that commemorates the anniversary of President Cyprien Ntaryamira's death in 1994. Ntaryamira was born on March 6, 1955. In 1986, he co-founded a Hutu progressive political party, the Front for Democracy in Burundi. 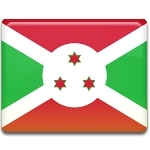 His party won the first democratic elections in Burundi which were held in 1993, ending the rule by the Tutsi minority. Melchior Ndadaye became the new president, and Ntaryamira was appointed Minister of Agriculture. Three months after the elections, Ndadaye was assassinated by Tutsi extremists. Ntaryamira became the new president on February 5, 1994. It was a compromise as he was Hutu, but considered a moderate. However, his presidency did not last long. On April 6, 1994, Cyprien Ntaryamira died in a plane crash. The private Dassault Falcon 50 jet which belonged to Rwandan president Juvénal Habyarimana, a fellow Hutu, was shot down while landing at Kigali International Airport, Rwanda. The plane crashed, killing both presidents. Their death ignited the Rwandan Genocide. President Ntaryamira Day is a solemn observance during which people reflect upon one of the most tragic events in the African history.